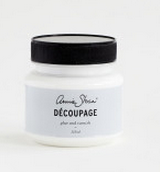 Here is a step by step for using Annie Sloan’s Decoupage. Here is the before photo of a very very tired side table… Love the shape but not much else at this stage. But everything has potential and hidden beauty….as we like to say. We painted the stool in two coats of Old White Chalk Paint™ by Annie Sloan with a cup of tea in between coats, as we waited for the paint to dry 🙂 super fast drying time, big bonus for impatient people like us, then we clear waxed it. APPLICATION: We applied one of our beautiful Italian wraps over the top, pushing from the centre out to release any air bubbles. For those who have the task of “Durasealing” those school books for the kids at the start of the each year, you will be a pro at this. Ensure that the paper is nice and flush and more importantly, on smoothly. Love that dragonfly wrap! 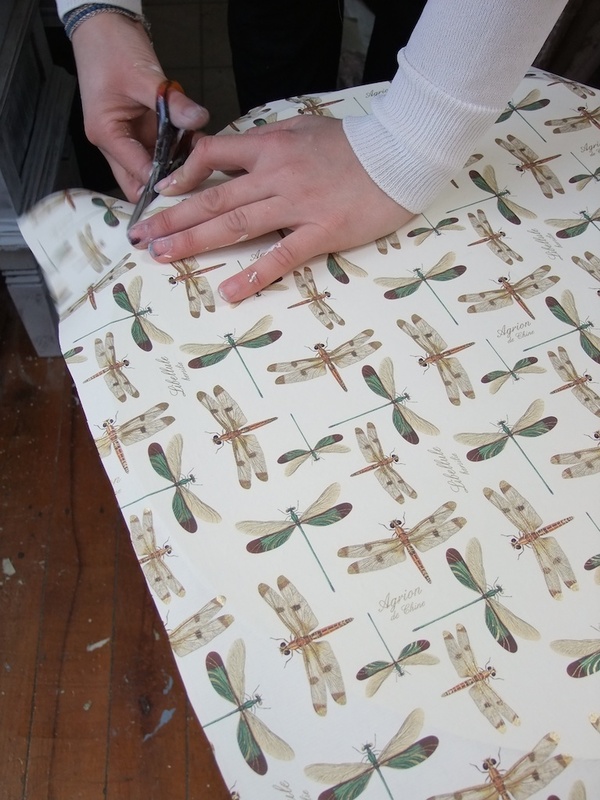 A customer came in today while we were finishing this off and she read the words from the paper to us and said she recognised the words and knew what they meant… What does it mean we excitedly asked, waiting to hear something poetic and romantic….”Dragonfly…”she replied, Ha! go figure. TRIM: We cut off the excess paper but left a lip of paper around the shape of the table…. we will get back to this later…. 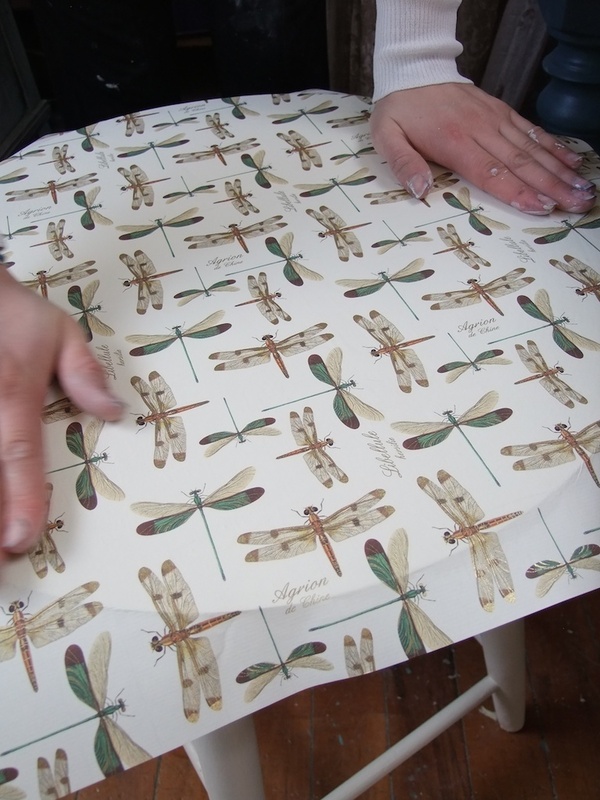 VARNISH: Decoupage works as a glue /varnish. Now we are on the Varnish part. 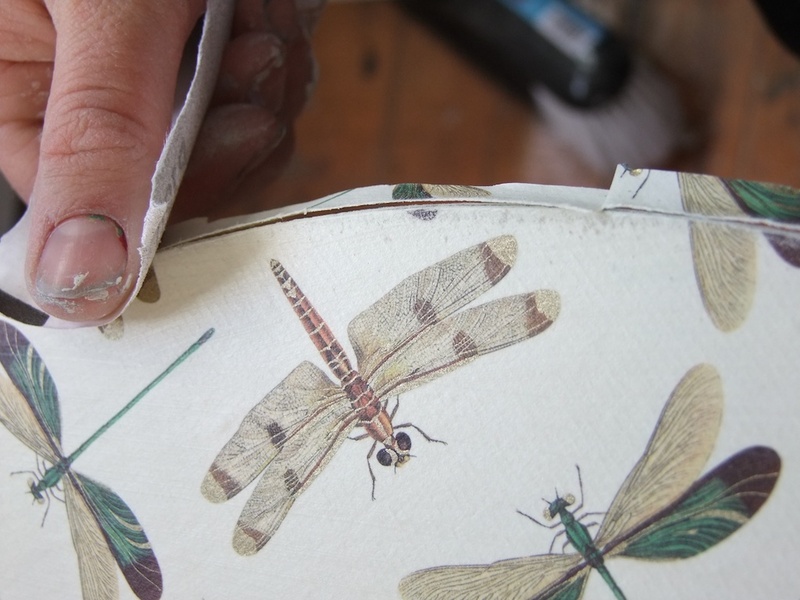 We applied one very thin coat of decoupage onto the surface of the paper using the tip of a nice soft chip brush again, which helps to avoid streaks and lines through the varnish. 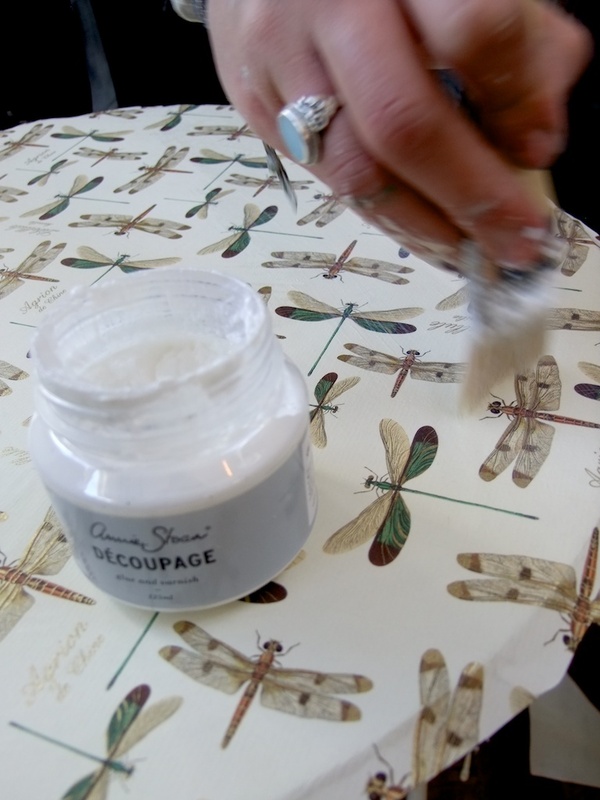 Being the impatient bunnies that we are… at this stage we used a hair dryer to dry off the decoupage medium. CREATE YOUR PERFECT LINE: We then folded the excess around the table to create and indent a line and then grabbed a 240 grit sandpaper and lightly sanded the edges and excess paper off creating a nice break and clean line. 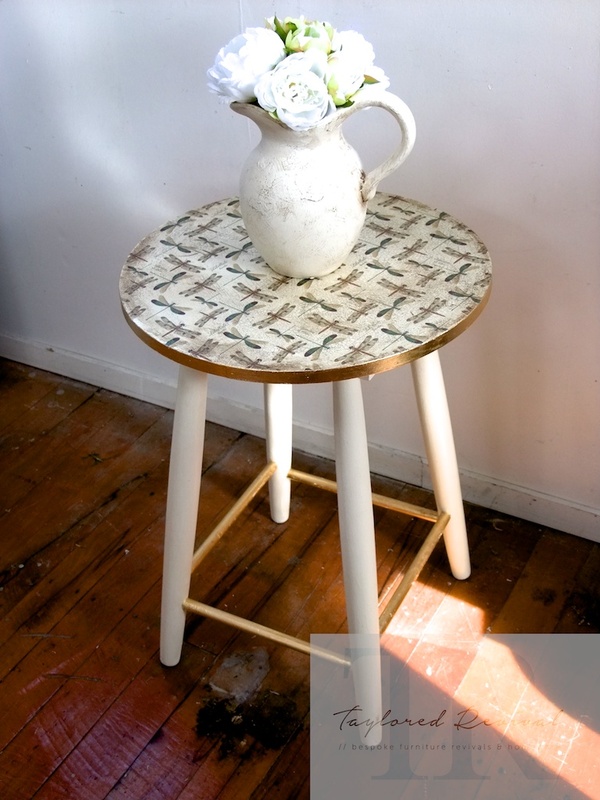 And then as easy as that, we had our newly transformed Decoupaged table top! (See below). as mentioned earlier, with this project we then went on to use Annie’s Gold Sizing and Craqueleur system which further enhanced this revival. Posted in DIY and tagged DIY. Bookmark the permalink. Thats a nice refurbishment! Well done! Thank you! Is that 70cm square? Will they be available to buy online soon?